We’ve been spoiled for choice this month when it comes to artists on UK tours and releasing new music. Since the beginning of November fans have been lucky enough to see Maren Morris, The Cadillac Three, Lucie Silvas and Charlie Worsham – just to name a few! 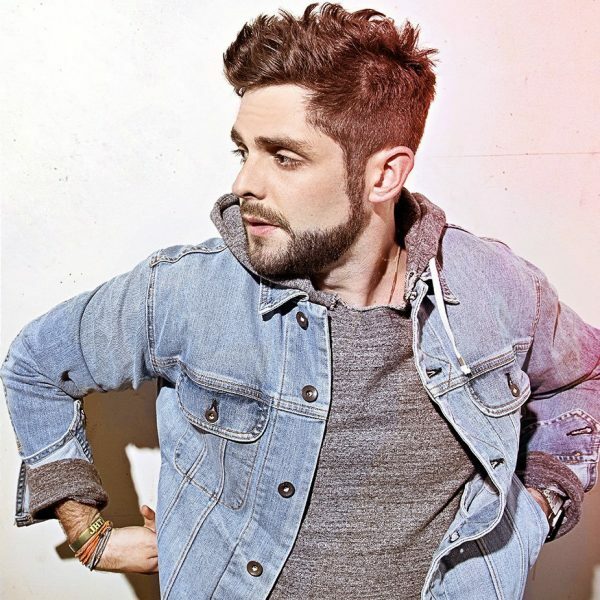 Last Friday it was Thomas Rhett and Old Dominion’s turn to bring some country magic to London’s sold out Camden Roundhouse. The night was filled with clever music and lyrics with a modern twist but, of course, built on a solid foundation of beloved old-fashioned country charm. Setting the mood was opener, Old Dominion. The five-strong band sounded fabulous inside the beautiful venue, which only emphasised lead singer Matthew Ramsey’s, outstanding vocals. Ramsey along with band Trevor Rosen, Whit Sellers, Geoff Sprung, and Brad Tursi, soon soothed the slightly ruffled audience – many of whom missed the opening few songs due to an astonishingly long queue outside – to all the bands best loved hits. 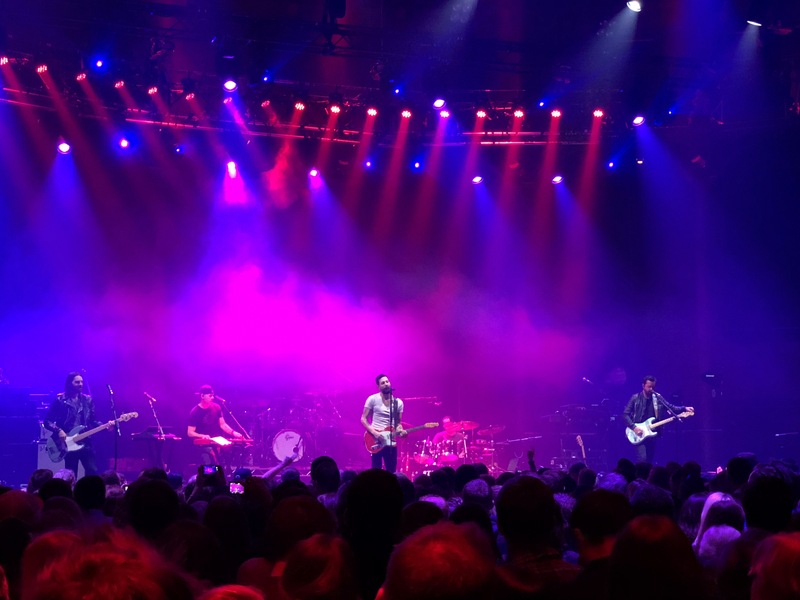 Playing songs from both the first album, Meat and Candy (2015) and sophomore release Happy Endings (2017) Old Dominion were lively and engaging. The audience couldn’t hide their delight, dancing along to Break Up With Him and newer release Be With Me. It was fantastic to see the opening band having as much support from the audience as the headliner. Towards the end of No Such Thing As A Broken Heart, Ramsey appeared sweetly amazed that this English audience knew all the words. Thomas Rhett also well and truly delivered a passionate show with a stellar performance which had the audience gleaming throughout. Some of the best songs of the night were throwbacks to early Rhett and the hits from first album Get Me Some Of That (2013) as well as Tangled Up (2015). 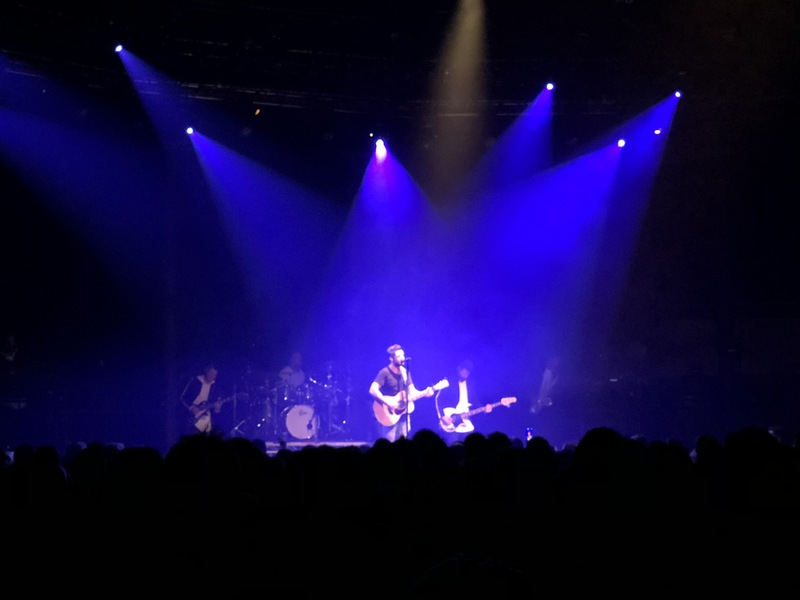 The audience soaked up every second of T-Shirt and Rhett was clearly enjoying himself as he leaped around the stage during Vacation – the fun, laid back lyrics to which were definitely a nice distraction from the cold November night outside. One of the standout moments of the night was Rhett’s performance of iconic love song Die a Happy Man. The entire room seemed to embrace each other and sway along, a credit to Rhett’s lyrical sweetness on the track and enviable true-life love story with wife, Lauren. We got another look into this fairytale and Rhett’s more mature content, in Life Changes, particularly when he sang: “Now Lauren’s showin’ and got one on the way/Yeah that’s two into two, hey, what can I say?” Tipping his head, and grinning on stage it’s clear Rhett really is a happy man. One Canadian in the audience said: “I can’t believe all these English people know all the words!”, but how could they not when Rhett’s music and live stage presence is so enthralling? Thomas Rhett and Old Dominion delivered a community feeling filled with all the fun you’d expect from these Southern boys.